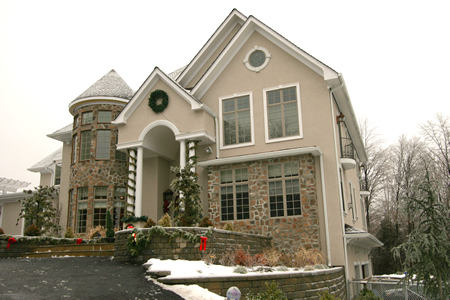 Advanced Radiant Design, Inc., located in Ulster County, NY, is a recognized leader in the alternate heating industry, with numerous first-place national awards for residential and commercial projects in the Hudson Valley and beyond. We custom-design fully integrated radiant and alternate-energy heating systems that deliver complete comfort, the highest efficiency and greatest reliability. We have designed and installed hundreds of residential and commercial systems throughout the Hudson Valley, New York, including Columbia County, Dutchess County, Greene County, Orange County, Putnam County, Rockland County, Sullivan County, Ulster County and Westchester County. Here in the Hudson Valley region, your heating system is the heart of your building. The more thoughtfully and expertly it is planned, designed and installed, the more it will pay you dividends in comfort and fuel savings. With our technical expertise, certification and training in radiant heating and alternate-energy design, we provide you with complete in-house design services, including comprehensive planning, computer modeling and CAD drawings. We design, install and stand behind every component of your heating system. Whether your heating needs are simple and modest or large and complex, through the application of the most advanced technologies and earth-friendly designs, including geothermal and solar thermal systems, we ensure that your needs are met in the most cost-effective way possible. And we gladly provide creative solutions to unique design challenges.